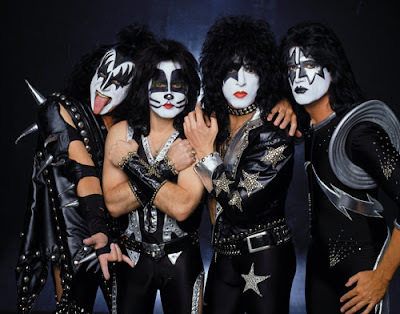 KISS are sharing some exclusive behind the scenes video. Filmed in Holmdel, New Jersey on 9/22/12, the clip features footage of the crew and KISS preparing to take the stage. The video was filmed with a night-vision camera, and the first part is silent because Led Zeppelin's "Rock and Roll" was playing in the amphitheater, and YouTube was blocking the video due to the background audio. Fran Stewart is captured doing the famous "You Wanted the Best" intro before the band breaks into "Detroit Rock City."